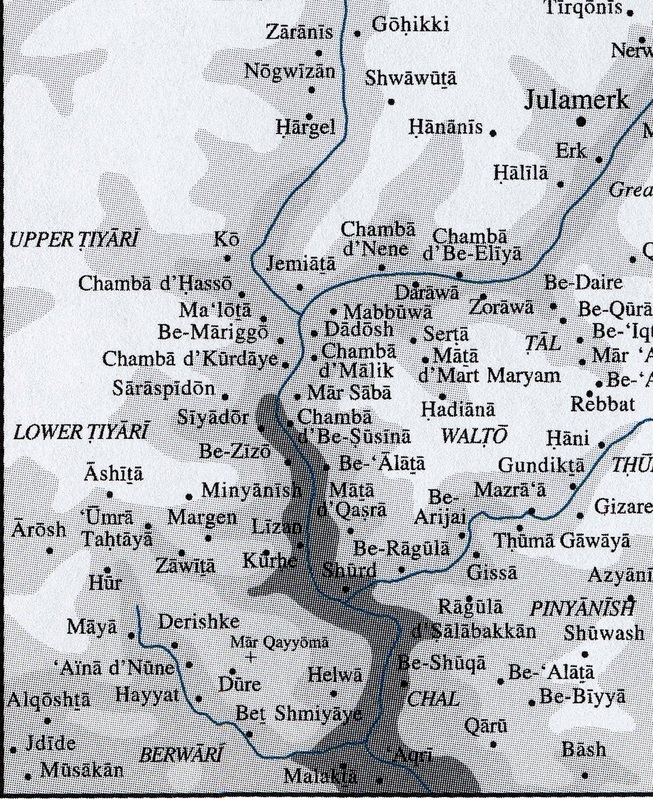 A map of Upper and Lower Tyareh. 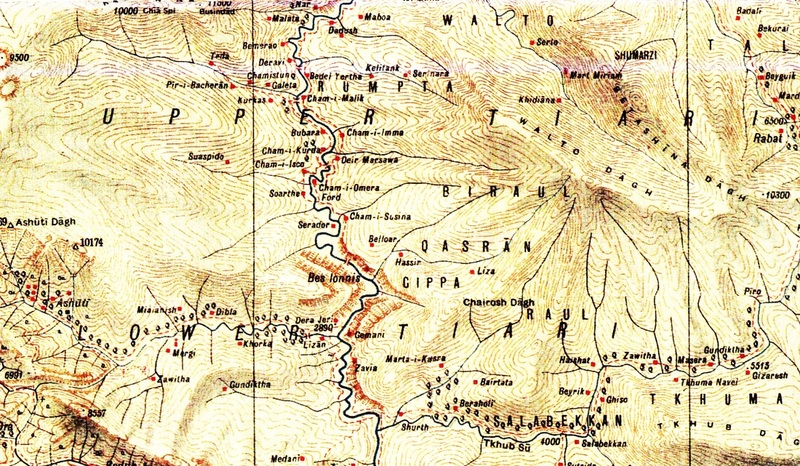 A 1910 British military topographic map of Upper and Lower Tyareh in Hakkari. 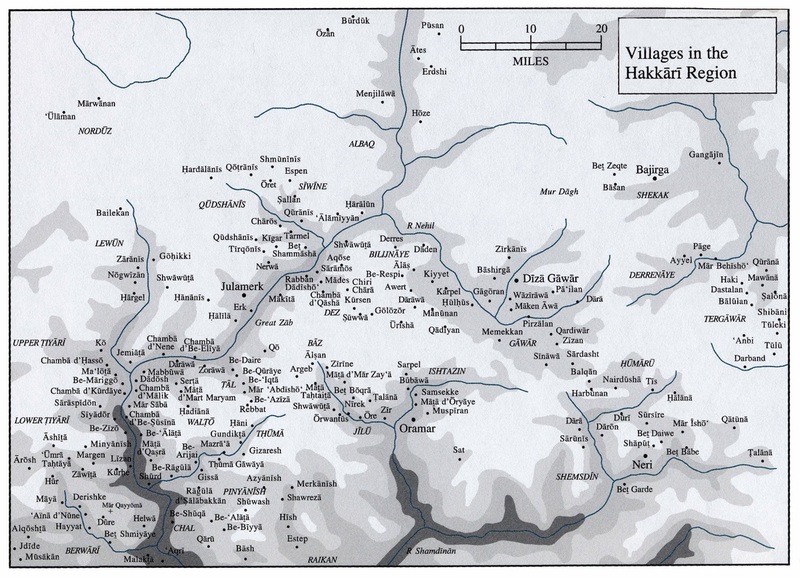 A map of Hakkari showing the regions of the independent Assyrian tribes prior to 1915 in Turkey.